Green leafy vegetables like kale, spinach, chard, beet greens, and Brewer’s Yeast provide the highest amount of folic acid. 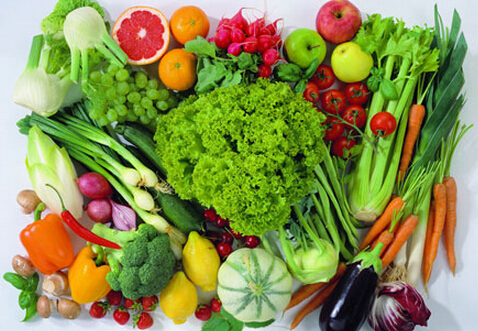 Other good sources include asparagus, cabbage, oranges, legumes, broccoli, and whole grains. Folic acid deficiency is the most common vitamin deficiency in the world, despite the wide occurrence in food. Liver and plant sources (mentioned above) are poorly consumed. Folic acid is very sensitive and is easily destroyed by light, heat, alcohol, and some medications. In a folic acid deficiency, all cells in the body are affected, especially the digestive and genital areas. This is due to a regression in cellular division and growth. Other symptoms include shortness of breath, insomnia, forgetfulness, loss of appetite, and depression. Folic acid, along with vitamin B12 and SAMe, function as methyl donors. They carry and donate methyl molecules to facilitate reactions, including the manufacture of brain neurotransmitters and DNA. Homocysteine may promote atherosclerosis by damaging the artery and reducing the integrity of the vessel wall. Folic acid with vitamins B6 and B12 help reduce homocysteine concentrations in the body. Vitamin B12 should always be taken with folic acid to prevent masking underlying B12 deficiency. Folic acid is available as folate and folinic acid (5-methyl-tetra-hydrofolate). In order for the body to use folic acid it must be converted first to tetra-hydrofolate and then add a methyl group to form 5-methyl-tetra-hydrofolate. Folate is the most active and best form to supplement. Folic acid gets its name from the Latin word folium which means “foliage,” because it is found in high amounts of green leafy vegetables.